RadioIndy created a CD Announcement Press Release for Stanley Sagov and Remembering the Future on Digg.com! RadioIndy is pleased to announced that we have published our CD Review of Stanley Sagov and Remembering the Future music to CD Baby. FANS - Please checkout Stanley Sagov and Remembering the Future online! FANS - Please checkout Stanley Sagov and Remembering the Future iTunes page play / purchase some great new music! "We Still Remember the Future" Reviewed by RadioIndy.com! 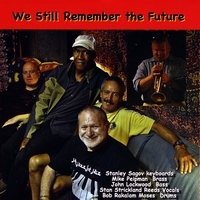 "We Still Remember the Future," the latest CD by seasoned South African Jazz group Stanley Sagov & Remembering the Future, is a fun, unique album that exposes the listener, whether a new Jazz fan or a veteran, to a different blend of the genre. The opening track, "South African Jazz Curry," really does the job in introducing the listener to Jazz, South African style. The song is led by the organ which gives it a rich sound while the percussion is varied and keeps the beat ever-changing and interesting. Toward the middle, "Stanley's Kwela" relies more on the classic jazz piano and high hat sounds. While giving the listener a refreshing taste of pure Jazz, this track still carries the melodic flares and riffs that make it exclusively South African. If you're looking for a fresh Jazz album, Sagov’s "We Still Remember the Future" is it. It's something new and each track showcases fine musicianship and talent. Looking Forward to Remembering the Future-- Reviewed by RadioIndy.com! 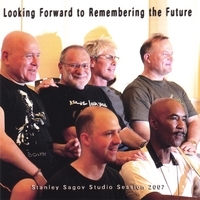 “Looking Forward to Remembering the Future” by Stanley Sagov is a soothing and serene collection of jazz tunes that demonstrate an intricate exploration of versatility. This album is exceptionally unique, and thereby irresistible. These compositions stretch the boundaries of traditional jazz forms with their fluid, ever-changing natures and use of ambient sounds. This is especially notable in “Falling With Didgeridoo.” Moreover, the variety and intricacy of the individual musicians on “Friday Night At The Cadillac Club” denotes the highly-skilled and innovative instrumentation that is not easy to duplicate. The piano work on “2 Chord, Toobad” is strong and forceful. This song also flaunts some great trumpet and sax solos and duos. “Hope For Peace Piece” slows things down a bit and exudes a heavenly piano intro. Furthermore, “Stanley’s Kwela” adds a light Latin jazz flavor, giving a glimpse of the versatility of these accomplished musicians. Topped with unmatched production, this CD is a must-have for the jazz enthusiasts.